The "Parading Atheists of Pennsylvania" act about 20 years younger than they are, and it's surprising to see what passes for "criticism" nowadays. Nevertheless, in the United States, being offensive is perfectly legal . . . unless you're in Pennsylvania, where Muslims are now free to enforce Sharia against people who mock Muhammad. Judge Mark Martin dismissed charges against a Muslim named Talaag Elbayomy, who physically attacked an atheist dressed as Muhammad. In ruling against the atheist, Judge Martin sent a double message: (1) criticism of Muhammad will not be tolerated, and (2) assaulting critics of Muhammad will be tolerated. If things don't work out for Judge Martin in Pennsylvania, I'm sure Dearborn would give him a job. I hope this story spreads like wildfire, there's no reason a physical assault should be tolerated, even on the extremely annoying. If we have stories like this and publish the violent verses of the Qur'an, I think we can curb Sharia and ultimately Islam in the United States. This atheist needs to exercise his rights and I hope he does cave in. 1. He needs to file an appeal or do whatever in the justice system to have the charges re-filed. 2. He needs to sue the Muslim and his mosque for damages.....I'm talking millions. Bankrupt them. If they can't feel thepain physically or judicially then hit it where it really hurts...the wallet. He reminds me of so many Atheists I know. Of course they are obnoxious douchebags, and they love it. All and all harmless fun turns into an assault without punishment. What kind of message is that? I don't assault people for insulting Christ. What right does this man have to assault someone for insulting Muhammed? Insult prophet Mohammed and go to have your head cut off. The judge was to soft he should have sentenced the atheist to a public behading. I hope the atheis will finally wake up and speak out. The ruling is one of treason against the integrity of the West. The judge is an oikophobe. The attacker called 911 because he thought it was a crime to depict Mohammad in such a way. He can't be serious to think that in America that we have laws protecting Mohammad from being offended. I don't believe that for a moment. Unfortunately, there are lots of judges like this sitting on benches all across America. It makes me mad that Obama has been trying to get liberal judges into the court system so that he can get his way in transforming this country. There needs to be some way to get these judges out of office for such a ruling. They don't deserve to have the honor of being a judge. They give the professional a very bad name. We'll repeat it once again for all muslims willing to hear and understand. You canNOT insult the dead. look now US President apologizes for burning Quran! If I were a gambling man, I would wager a whole dollar that if this had been a Christian who assulted the atheist the charges would not have been dismissed. This is racism and bigotry at its finest. This is why Muslim hero, atheist Bart Ehrman will not critisize the Koran for fear of his life. What a shame, Muslims playing the victim, are already in control, because they know how to use the laws of our free societies to their advantage. Eventually freedom in the west will mean not offending Muslim sensitivities. Anybody have any verses from the holy Koran to justify this? Said: "He reminds me of so many Atheists I know." Aren't you an atheist Derek? Here is how ad when to contact this incompetent judge! I hope people call out for the judges IMMEDIATE firing. What happened to one law for all people? Does the judge actually practice injustice? Or does he really believe that if anyone mocks another's beliefs, he deserves to be attacked? If a Christian attacks someone mocking Christ will the same happen? I think not! And that lawyer needs to seriously needs to be disbarred and go back to school if he thinks this is a rightful "antagonizing" for an attack. It's disgusting and un-american. And when the Muslims decide they are strong enough to subjugate non-Muslims, will they also get away with assaulting non-Muslims? Enforcing Sharia law is sedition and should be prosecuted as such. I will be faxing this dirtbag and urge him to resign from the bench for the good of the country. Here is an audio recording of the proceedings. AFAIK, this story was never reported in the MSM. 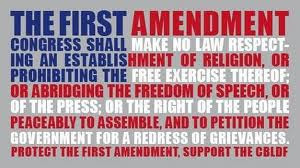 Furthermore, has anyone noticed how the ACLU remains completely silent on the violation of this atheist's civil rights? 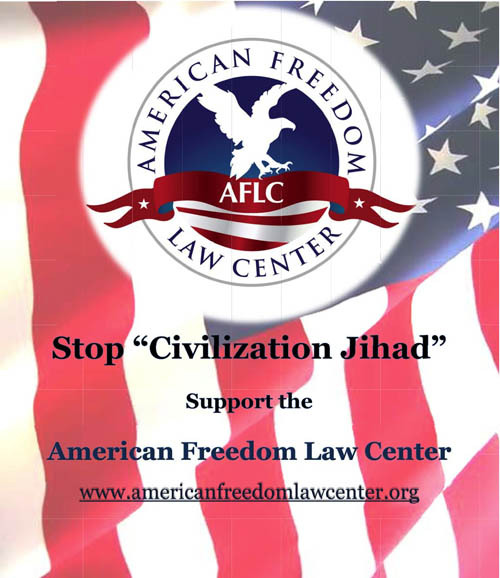 It makes me wonder how much islamonazi NGO's or states are contributing to the ACLU. Baron Eddie, your guess is wrong. Here is the real reason why the Judge dismissed the case. THe JUDGE IS A MUSLIM. "I'm a Muslim and and I'm offended"
"In many Arabic speaking countries something like this is definitely against the law there. In their society in fact it can be punishable by death and it frequently is in their society." I guess the judge forgot we don't live in a civilized society. Remember he is a judge so be respectul. Respect the office he holds even if you do not respect the man who holds it. I'm going to call and thank him for being the poster child for Anti Sharia Law Legislation. ""Mr. (Defendant) is correct. In many Arabic speaking countries something like this is definitely against the law there. In their society in fact it can be punishable by death and it frequently is in their society." Be disrespectul leave vulgar vm messages, might as well even threatin him too. I saulte the rank not the man in the uniform, I respect the office not the man who holds it. Great article about 9:29.It is full of great information. The question is:will the Liberals and Leftists condemn all this?The answer is no,we all know that. seems to me that the judge was absent the *day* they taught logic, ConLaw, and criminal law in the Cracker Jack Law school he attended. Logical fallacies in his explanation include: argumentum ad ignoratium, non sequitur, red herring, and ad hominem attack to name just four. He shoots himself in the mouth by in one sentence mentioning ConLaw and then in the next sentence totally disregarding it. He also makes the case into simply a "he said - he said" and discounts the testimony of the LEO regarding the confession of the defendant as to assault with battery. He also discounts the testimony of another who stepped in to stop the, IMO, very mild but nonetheless illegal assault - this is not a legal requirement and those who stop assault or worse are often prosecution witnesses in criminal jury trials. Both logically and legally the judges explanation makes no sense at all. He should be ashamed and embarassed by the sheer stupidity of his own words. As is often the case, what words one utters are also true of oneself - in this case, IMO, "doofus". 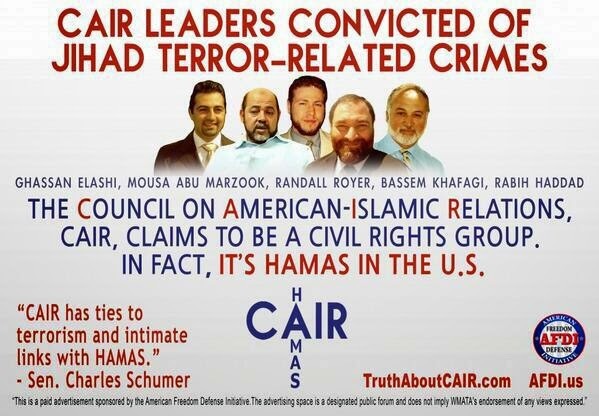 If the judge is in fact Muslim, he should have recused himself fr/the case. A judicial reprimand against the judge is definitely in order at the very least, if not removal fr/the bench. I did my civic duty and filed my opinion, about Judge Martin's behavior, with the The Court of Judicial Discipline of the Commonwealth of Pennsylvania. Thanks for the contact information TIM. Clearly this idiot judge has sent a message to the public that only mob-ocracy will be respected in his court. He, seemingly, believes that people only have the Constitutional rights that they are able to, personally, defend. Judge Martin has sent the chilling message that, if one wishes to practice free, albeit unpopular, speech they should bring sufficient force with them to guarantee their right to do so. Those who do not use force to protect their rights will find no respect in Judge Martin's courtroom. Perhaps Judge Martin dreams some day of becoming a Taliban judge - he would fit right in. You've all been suckered by the losing party in the case, Ernie Perce, who invnted and propagated the lie that the judge is a muslim. He's not. Ernie Perce misheard him, wrongly assumed that he'd been discriminated against, and started this whole circus out of a misplaced sense of outrage. The judge was forced to dismiss the case on a technicality. There was no "Sharia Law" ruling. Just a guy sore at being called a doofus. "You've all been suckered by the losing party in the case, Ernie Perce, who invnted and propagated the lie that the judge is a muslim. He's not. Ernie Perce misheard him, wrongly assumed that he'd been discriminated against, and started this whole circus out of a misplaced sense of outrage." No sir, you can hear him say as plain as day "I"M A MUSLIM AND I"M OFFENDED" its in the recording he said it period. Now the judge may of gotten carried away in his zeal to punish the kuffar for insulting Mohamed. And he may of ment to say "If I was a Muslim I would be offended" however thats not what he said. He said as plain as day "I'm a MUSLIM I"M OFFENDED"
I guess I am too late. But here's what I found in Yahoo News. Judge Mark Martin, an Iraq war veteran and a convert to Islam, threw the case out in what appears to be an invocation of Sharia law. Where did you get that odd notion that the judge is NOT Muslim? He admits this FACT from the bench. "Then what you have done is you have completely trashed their essence, their being. They find it very very very offensive. I'm a Muslim, I find it offensive. But you have that right, but you're way outside your boundaries or first amendment rights. This is what, and I said I spent about 7 and a half years living in other countries. when we go to other countries it’s not uncommon for people to refer to us as ugly Americans this is why we are referred to as ugly Americans, because we are so concerned about our own rights we don’t care about other people’s rights as long as we get our say but we don’t care about the other people’s say"
The recording of the actual trial can be found HERE! Now that I have taken the time to do the research for you, go forth and educate yourself. The judges' wikipedia page was deleted about an hour ago. Update: It seems media mislead about Judge Martin is Muslim. He declared he is lutheran. Take a look and judge for yourself. a site known for its bias against the TRUTH. It may be true but the question remains why did he say "I"M A MUSLIM I"M OFFENDED" its not garbled its as clear as day. Even if he is not a Muslim he still based his ruling on the fact that what he had done is offensive and in Islamic countries he would be killed. Ultimitly regardless if he was a Muslim or not. THe judge still ruled on the case based on what he considered offensive to Muslims. I believe he even said words to the affect that it was this offensive behavior that provoked the Muslim into attacking him. The judge also said that Freedom of speech does not give you the right to offend. I"m sorry but it does. "I may not agree with what you say but I will fight to the death for your right to say it". Now wether Voltair said these words or not is not the issue. The issue is these words up hold the very esense of Freedom of Speech. Something that this Judge failed to consider, or even blatantly disregarded when he gave his rueling. Yes, I quote from loon watch. I am very often to check Loonwatch. I tend to make sure I get the big picture instead stay on the side and ignore other side. a site known for its bias against the TRUTH." Oh really? mmm... let me thinking, so thank you for your feedback. t may be true but the question remains why did he say "I"M A MUSLIM I"M OFFENDED" its not garbled its as clear as day. I guess you can hear the audio. I m Deaf and can't tell the audio if it is hear very clearly. "I may not agree with what you say but I will fight to the death for your right to say it". Wow it is powerful message and come from Voltair. It is definitely advocate for freedom of expression. You'll need to put on your thinkin' cap for a moment while I 'splain things to you. "Judge Martin is not a Muslim, and later said himself he is Lutheran." What could explain his conflicting statements when he stated, from the bench, that he IS a Muslim ("I'm a Muslim, I find it offensive.")? Please familiarize yourself with the concept and terms "Taqiyya" and "Kitman". These refer to the Islamic art of lying for the purpose of fooling one's enemies. Islam has identified Western civilization as it's enemy so the concept of telling any lie to fool the people of the west is fully supported. Now the logic begins - hang on for a wild ride! Taqiyya and Kitman are supported by Islam so it is OK for a Muslim to tell people he is a Lutheran, however the reverse is NOT true because there is no provision in the Holy Bible which supports the concepts of "Taqiyya" and "Kitman". Since Judge Dufus (sorry, I mean Judge Martin of course), made two conflicting statements regarding his religion, it is easy to determine which of the statements is false and which is true. If Martin WAS a Lutheran, he would have NEVER stated he was a Muslim, yet he DID. If he was a Muslim he was well supported and encouraged to lie about this fact by telling people he was a Lutheran. The loons at loonwatch do not posses the power of deductive reasoning which would have led a reasonable person to this conclusion and, as such, they are hardly a credible source. I know about Taquiya. I belive the term is exist in Muslim community. I belive some Muslims did fool their enemy. So, Thank you for input! Still think the Judge said he was a Muslim? Listen closely. To the whole trial. Like I did in the first place, instead of following the PLAINTIFFS transcript. The doofus screwed up, plain and simple. Martin said "I'm NOT Muslim". IF doofus was right, don't you think he'd be trumpeting his certified , analysed audio in front of the media. Also, how do you expect a judge to find someone guilty of assault if he isn't charged with assault? Next time, check your facts properly before you jump on your high horse. "Please familiarize yourself with the concept and terms "Taqiyya" and "Kitman". These refer to the Islamic art of lying for the purpose of fooling one's enemies. Islam has identified Western civilization as it's enemy so the concept of telling any lie to fool the people of the west is fully supported. Now the logic begins - hang on for a wild ride!" Please familiarise yourself with the definition of the word 'misheard'. I went to the link that you provided in your previous post and all I find there is my Blogger profile, NOT this mystery audio/transcript that you intimate resides there. I, on the other hand, have previously, in this thread, provided an audio recording of the proceedings. Because your attention span appears to be quite short, I will, once again, provide you with the link to the audio recording made at trial. It can be found HERE! Pay particular attention to the audio at time marker 31:28 (that's 31 minutes, 28 seconds) and you will hear Judge Mark Martin state, clearly and unambiguously, "I'm a Muslim. I find it offensive." "IF doofus was right, don't you think he'd be trumpeting his certified , analysed audio in front of the media." If you had been paying attention, you would know that he HAS trumpeted his audio in front of the media - it's on Youtube, CNN AND ABC. 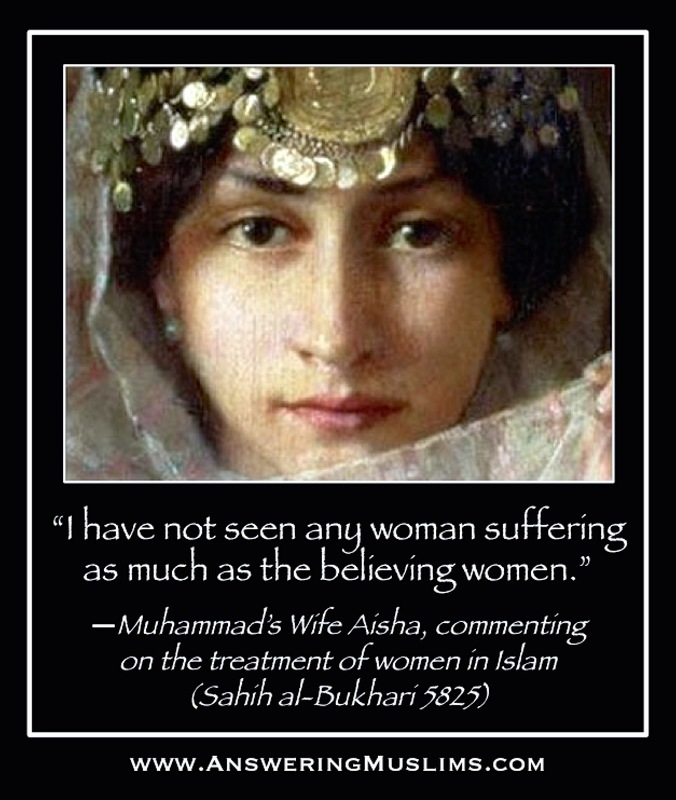 Since all assaults are harassment yet the reverse is not, necessarily true it would, reasonably, be much easier to make a case for harassment than assault, however, it is impossible for prosecutors to make any case against a defendant when the Judge dismisses all prosecutorial testimony and evidence and, instead of explaining his decision, launches an apologetics tirade about the virtues of Islam, from the bench, along with a defense of the defendant's actions, by justifying the harassment through the defendant's religion and culture. Judge Martin was not the Defendant's attorney yet he was, clearly, acting in his behalf. Pay particular attention to time marker 2:05 of the ABC video. The Defendant told the Arresting Officer, at the scene that he (Defendant) had, indeed, assaulted the victim, a testimony which he recanted in court without any apparent judicial consideration. Judge Martin wore his religious bias on his sleeve that day and it is Judge Martin who is the true DOOOOFUS in all of this. When you dismount your own "high horse", take care not to step in another horse puckey and soil your other boot. Once again, now that I have taken the time to do the research for you, go forth and educate yourself. First off, like I said, listen to to audio. Closely. Pay no attention to the transcript (which is not the official court transcript by the way, but the Plaintiffs version. You'll hear that the Judge actually says "I'm NOT Muslim". This is where Ernie Perce made his mistake. He misheard this, automatically assumed that the judge had discriminated against him, and went hawking his audio, complete with misleading 'transcript' around the media. Some of the more sharp-eared YouTube viewers spotted the mistake and pointed it out in the comments. "We have it on audio. We had the audio analyzed, and deciphered through software that is meant to analyze audio by a guy who is really good at analyzing audio." Sounds like a real professional job, doesn't it? Really gives you confidence that they know what they're doing. Since this has been called into question, Ernie has gone strangely quiet on the subject. Ask yourself why he hasn't yet asked for a copy of the official court transcript. Or published an independent, certified report on the audio carried out by somebody suitably qualified. It's not as if his organisation lacks the resources to do so. As for the trial itself: if you'd listened,You would have noticed that the defendant was charged with harassment, not assault. You would also have heard the defense attorney point out that to prove a charge of harassment, the onus was on the prosecution to prove INTENT to "harass, annoy or alarm". Please note: not just that the defendant did these things, these things, but that he intended to. Since by both the defendants and plaintiffs testimony, his target was the sign and the beard, and that he stopped when he realised he couldn't tear them away (the beard was glued on) the judge ruled that there was insufficient evidence to sustain the charge. "In short, I based my decision on the fact that the Commonwealth failed to prove to me beyond a reasonable doubt that the charge was just; I didn’t doubt that an incident occurred, but I was basically presented only with the victim’s version, the defendant’s version, and a very intact Styrofoam sign that the victim was wearing and claimed that the defendant had used to choke him. There so many inconsistencies, that there was no way that I was going to find the defendant guilty." In other words the judge applied American law. Where there is doubt, don't convict. Now you can see that I did indeed take the time to 'educate myself'. Something you obviously failed to do, before jumping to one bad conclusion after another, just as Ernie Perce did. I have absolutely no idea who you are, however, you allege to have insider information that has yet to be reported by anyone in the press or otherwise. You assert that you have had conversations, from which you quote, with the victim's partner who was wearing the Zombie Pope costume. You are certainly a mystery man, all of this being reminiscent of the show "What's My Line" which was popular in the '50s. Are you Judge Mark Martin? From another comment you made in your post it sounds as if you may be a talk show host. Two down and four to go! I think your "insider information" and your attempts to establish yourself as a mystery authority in this matter is merely a ploy to make your failed case sound better. I ran your authoritative sounding, yet specious, quote, "We have it on audio. We had the audio analyzed, and deciphered through software that is meant to analyze audio by a guy who is really good at analyzing audio. ", through Google to attempt to match it with an article but I came up with nothing. Isn't that the great thing about the internet - anyone with a pseudonym can portray themselves as an expert in just about anything without consequence. Don't you think that CNN and ABC ran this recording past their experts before they made it the basis of the stories that they ran? The DID run the story - or didn't you click on the links which I provided in my previous post? I, as well as many others, heard the Judge say, "I'm A Muslim. ", however let the reviewer of this audio be the judge. While I manned up and addressed the Harassment v. Assault issue in my previous post I still see no evidence of you addressing Judge Martin's invective laced tirade which was aimed at the victim. A screed which, clearly, demonstrates Judge Martin's poor judgement in failing to recuse himself from the case. You remain wrong and posses a failed argument which does not serve you well. I don't believe for one minute that you are a mystery authority with secret and credible insider information. Your post sounds eerily like the last gasps of a dying rationale for inexcusable acts of Jurist Malfeasance. As long as you are able to manufacture the pseudo-evidence with which you surround yourself, you remain caged within your own world, never able or needing to come to grips with the real world. I suggest you re-read my previous post and click the NEWS links again, you appear to have missed a lot. Since I do not make it policy to continue conversations with phantoms who portray themselves as experts in a field without credentials or even a real name, our conversation is, reasonably, at an end. While Don Quixote was a great literary character, I have no desire to tilt at your windmill.